With such a distinctive national dress, drink, bagpipe music, landscape and folklore, Scotland has shaped an identity recognisable the world over. It is a land of astonishing contrasts and possesses a magical quality, whether seen shrouded in mist or rising majestic above the mirror of a loch. 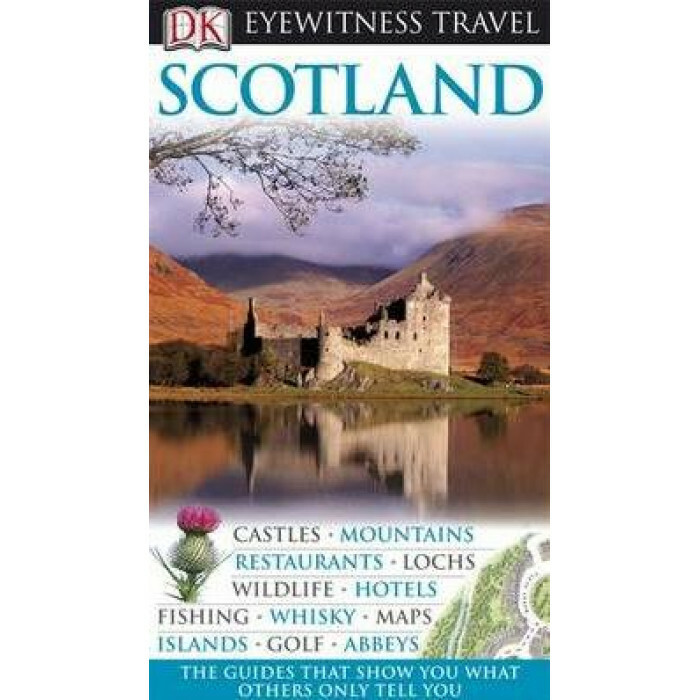 "This Eyewitness Travel Guide" covers Scotland's varied countryside, from the mountains and moorlands in the north to the rounded, grass-covered hills of the Lowlands in the south. With both Edinburgh and Glasgow comprehensively explored, all aspects of Scotland's attractions are covered in the uniquely visual and easy-to-use "Eyewitness Travel Guide" style. You'll find floor plans of all Scotland's major attractions and beaches, markets and festivals listed town by town. With the photographs, illustrations, walks, scenic routes and thematic tours as well as full-colour detailed maps of towns and regions, this guide is indispensable.